The government yesterday dismissed all allegations regarding a recent controversial bond issue by the Central Bank and claimed it was carried out in a transparent manner. 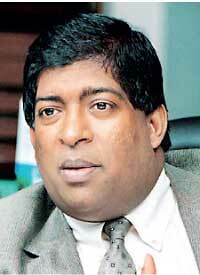 This was announced by Finance Minister Ravi Karunanayake at a media briefing last morning. Sri Lanka’s bond market was in a state of shock last week after a 30-year bond was sold at higher yields, with about half of the bonds (about Rs.5 billion) being ultimately allocated to Perpetual Treasuries, a firm connected to Central Bank Governor Mahendran’s son-in-law. Minister Karunanayake said the government has no intention to safeguard the guilty but will only safeguard the innocent, who are the people of this country. This, he said, was why the government appointed a three-member committee to look into the matter. “Prime Minister after having consulted the President over the phone, decided to appoint a three-member committee to investigate the matters concerning the above issue,” a statement from Prime Minister Ranil Wickramasinghe’s office said. The committee is chaired by Gamini Pitipana. Other members are Mahesh Kalugampitiya and Chandimal Mendis. Meanwhile, Janatha Vimukthi Peramuna yesterday called for the removal of Central Bank Governor Arjuna Mahendran from his post until an independent investigation to the incident is carried out.